tale of the eminent demise of an institution. 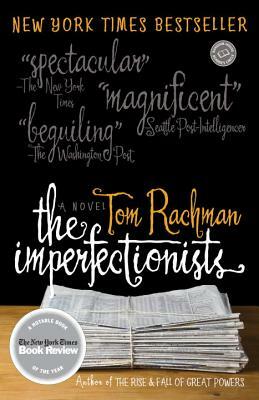 Tom Rachman was born in London and raised in Vancouver. A graduate of the University of Toronto and the Columbia School of Journalism, he has been a foreign correspondent for the Associated Press, stationed in Rome. From 2006 to 2008, he worked as an editor at the International Herald Tribune in Paris. He lives in Rome.